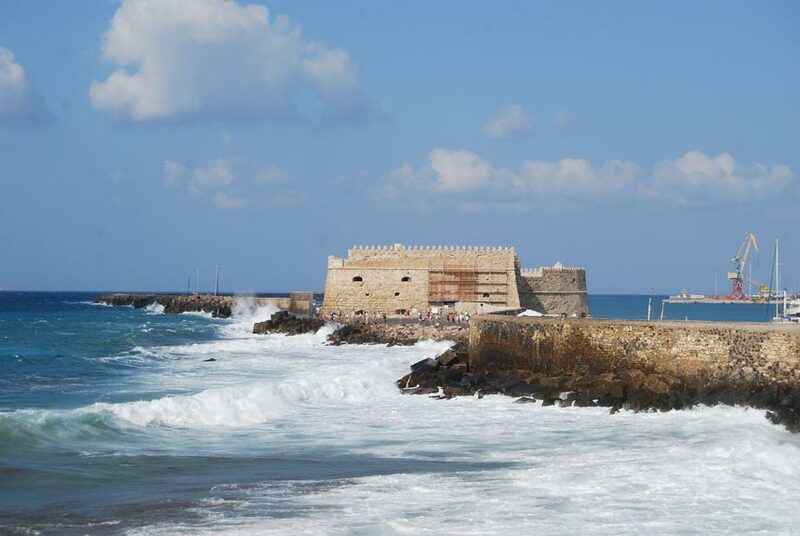 Among all the beautiful Greek islands, Crete holds a special place. Due to its remarkable size (it is the 5th largest island in the Mediterranean Sea), it doesn’t convey that bitter-sweet feeling of isolation and solitude that sometimes one feels on smaller islands. During my stay I had the impression of being not on an island but on another continent. This feeling was nurtured by the extension as well as by the diversity of its territory comprising pristine beaches, islets, fertile valleys, stark plains, canyons, lakes, forest-covered hills and massive mountains. 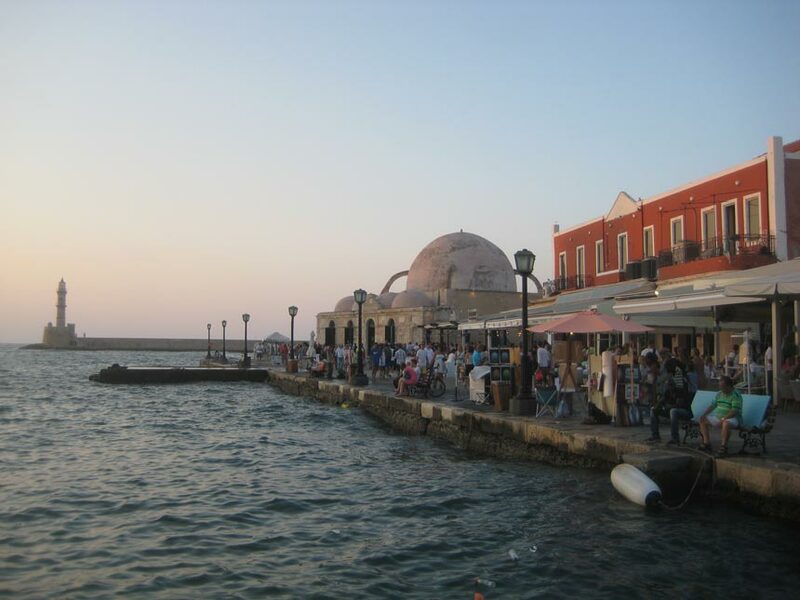 Culturally, Crete drifts a bit away from motherland Greece insofar as it features a distinct history, tradition, music, food and even language. In particular, Venetian and Turkish elements are quite evident in many aspects of Cretan culture. Angeliki and I start our trip from Heraklion, the capital and most populated city of Crete. The Koules fortress and the old town with its fine Lion’s Fountain—both heritages of the Venetian age—are often crowded with locals and tourists alike. 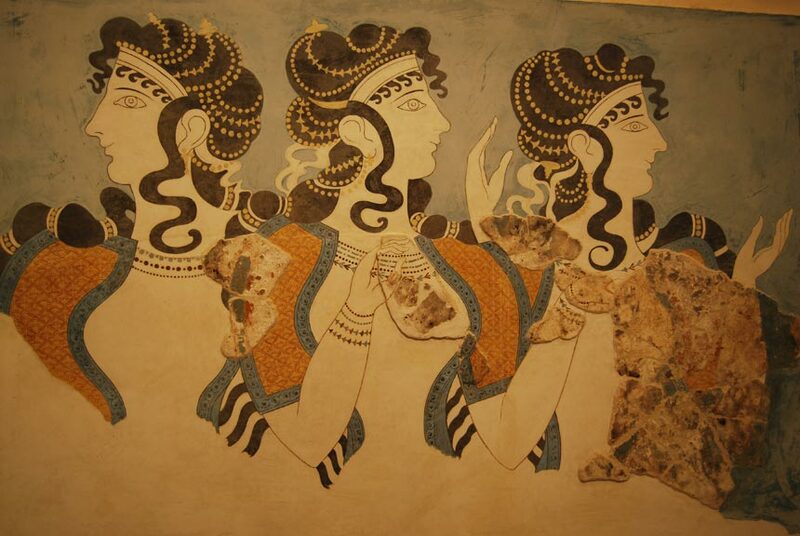 The main attraction, however, is the Archaeological Museum with its excellent Minoan collection. 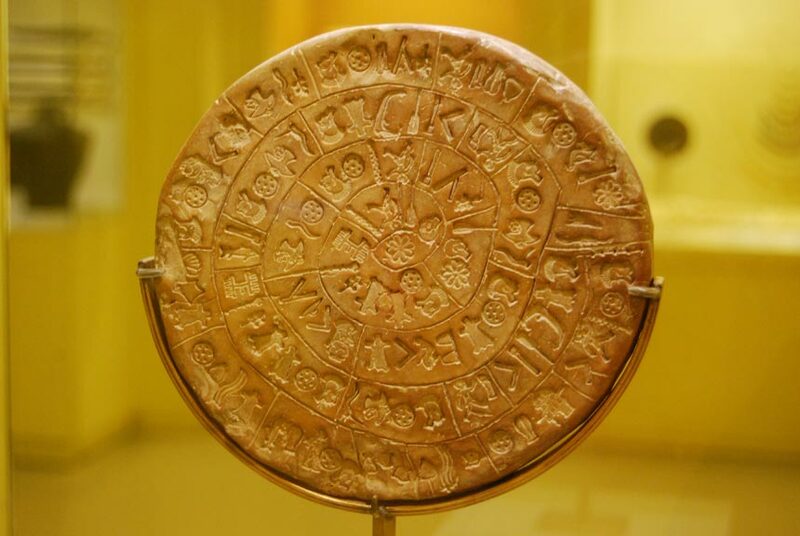 Native of Crete, the Minoan civilization—which owes its name to the legendary king Minos—is considered the oldest in Europe, dating back to the 4th millennium BC. 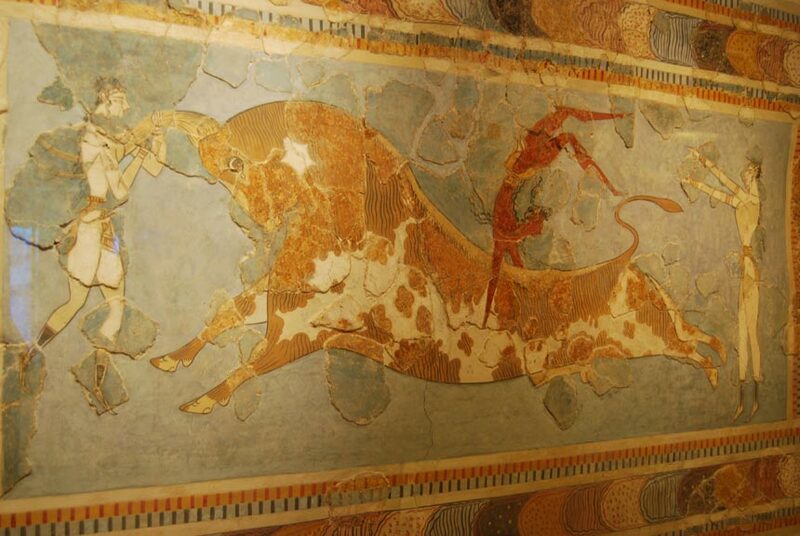 The exhibitions of the museum introduce us to what awaits in the spectacular archaeological site of Knossos. The palatial complex of Knossos is a huge agglomerate of over 1300 rooms spread on different levels and connected by a maze of hallways. Wandering around the palace, we understand why Sir Arthur Evans—the American scholar who excavated the site—thought he had discovered the labyrinth of Minos, the alleged prison-home of the Minotaur. 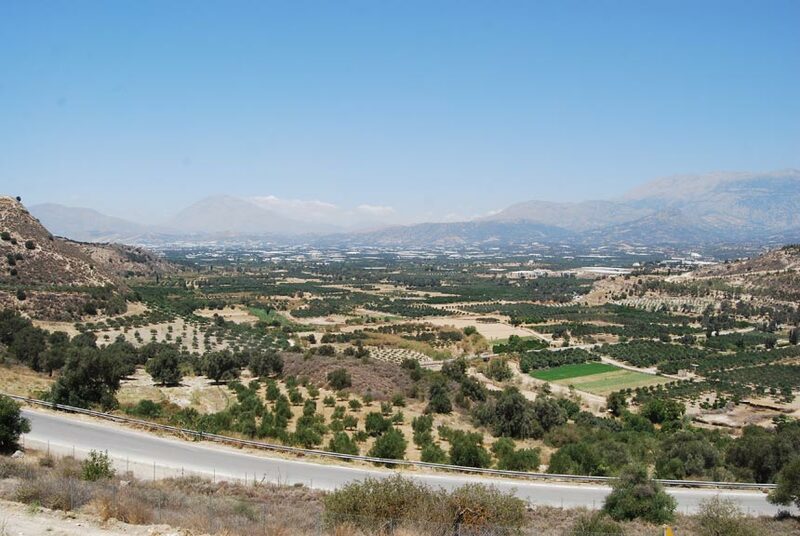 Other interesting sights of note are the ruins of Gortyn, Phaistos and Malia, all of them beautifully located in the Cretan countryside. After plunging ourselves into Minoan history, it is time to dive into the blue waters of the Aegean. From Kissamos (also called Kastelli) we embark on a daily cruise around the north-western tip of the island, stopping at Balos lagoon and Gramvoussa island, where we climb up to the Venetian fortress for a commanding view of the surrounding landscape. These beaches, like that of Elafonisi further south, are true corners of heaven on Earth: snow white sand, crystal-clear waters, sea and sky merging over the horizon. 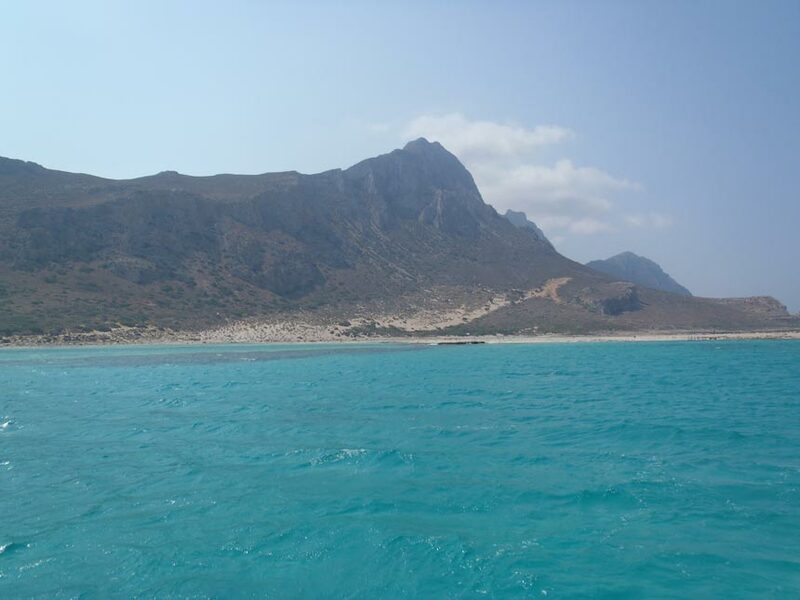 Nonetheless Crete boasts more natural marvels. We hike it all, from the village of Omalos (1250 a.s.l.) 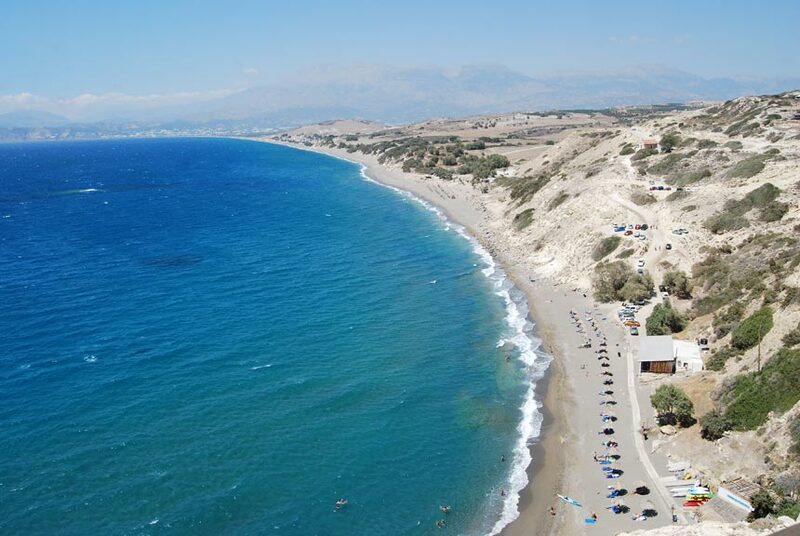 to the beach of Agia Rumeli on the Lybian Sea. After eight long hours of hiking with a temperature of over 30°C, the sea looks like a mirage and we don’t think twice before throwing ourselves in it. 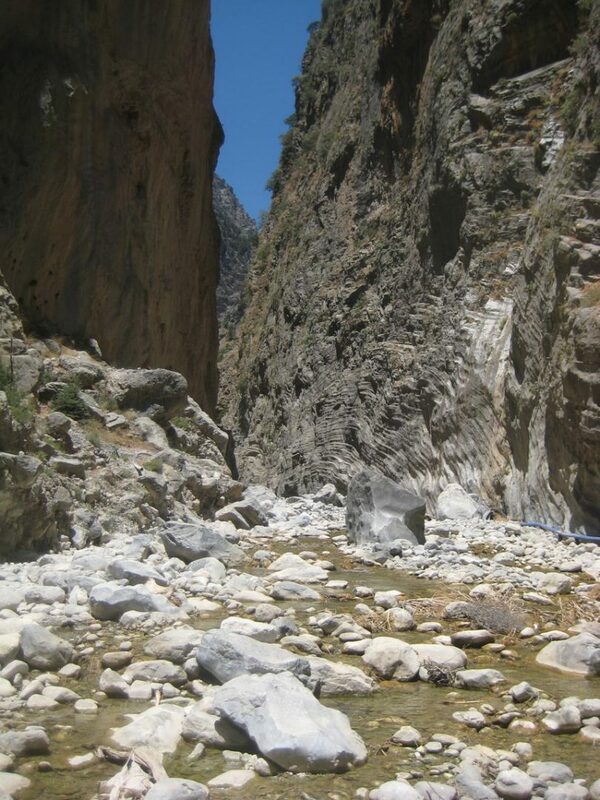 According to Greek mythology, Dikteon Cave, in the middle of the Lasithi Plateau, was the birthplace of Zeus. Because of this it was used as a sanctuary throughout antiquity. More than its historical value, we appreciate the beauty of its stalactites and stalagmites as much as the cool temperature, a true relief from the intense heat outside. Another sight not to miss in the eastern part of Crete is the palm forest of Vai, right on a golden beach. The fortified islet of Spinalonga, separated from the mainland by a narrow strait, is one of the most visited attractions. The colony had the usual facilities of any regular village: the school, the church, the hospital, the barber’s, the grocer’s and so on. Today all these buildings lie bare and forsaken and watching them we picture how life must have been for the unfortunate souls of Spinalonga, confined in such a beautiful yet miserable place. A few kilometers south of Spinalonga lies the quaint town of Agios Nikolaos, capital of the Lasithi province. The unique feature of Agios Nikolaos is its graceful fishing harbor built around the freshwater Lake Vouliagmeni. Hania and Rethymno, respectively the second and third largest cities of Crete, vie for the prize of most beautiful city of the island. Both their historical centers boast a maze of pebbled alleys lined with elegant Venetian and Ottoman houses with splendid wooden balconies and exquisitely ornate front doors, old churches, mosques and Turkish baths. Many of these buildings have been converted into restaurants, art galleries, shops and museums. Angeliki and I spend our last evening dining in a tavernaon the splendid waterfront of Hania. Here we make a last toast with a shot of tsikoudia, while the lyrekeeps playing the timeless myths of Greece.